Sir Andrew Davis is in town conducting his own orchestration of Handel’s Messiah. In the modern world this is probably as close as it gets to Sir Malcolm Sargent and the Huddersfield Choral Society. He conducts the TSO with brass and woodwinds that Handel never saw and lots of percussion including snare drum, sleigh bells, tambourines and marimba. 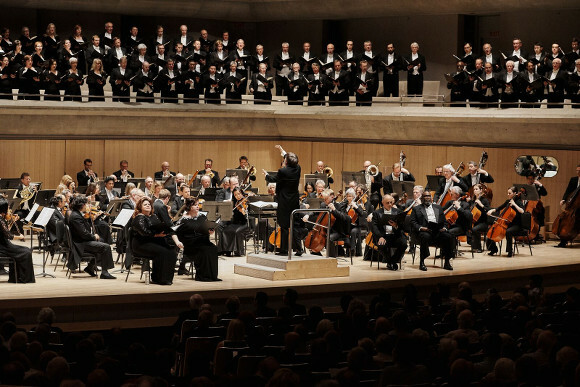 He also has the not inconsiderable heft of the Toronto Mendelssohn Choir. It’s forty years since Sir Andrew Davis first conducted the TSO and to celebrate the fact the TSO programmed a run of Verdi Requiems with Sir Andrew conducting. I caught the last performance last night. It’s in some ways a curious piece; very operatic and not especially liturgical but it does have its subtleties; the very quiet opening and the tenor solo Ingemisco for example but there’s also some moments of drama that are far from subtle. The Dies irae is appropriately loud, even terrifying and it’s used as an accent before the Lacrymosa and during the Libera me. It’s quite a compelling 90 minutes or so.